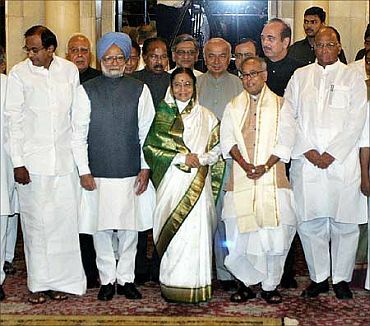 The all-party meet called by Union Finance Minister Pranab Mukherjee to resolve the deadlock in the Parliament ahead of the Budget session ended inconclusively on Tuesday with the Bharatiya Janata Party-led Opposition sticking to their demand for a Joint Parliamentary Committee probe into the 2G scam. 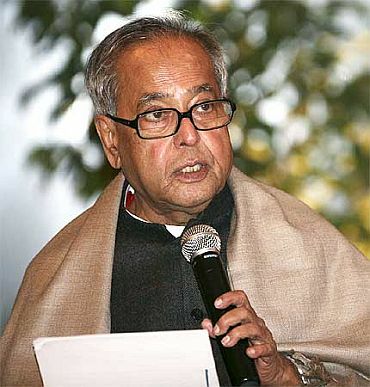 In an endeavour to ensure that the Budget session of Parliament functions smoothly, Mukherjee had called for a meeting of leaders of all political parties, but they put forth the view that the government should agree to the allegations of corruption in allocation of 2G spectrum and that this should be probed by a JPC. "The allies of the government too say they have no problems with JPC. We have told the government, and I think there is hope, that first government will take a decision, approve formation of JPC and Parliament will function properly," Leader of the Opposition in the Lok Sabha Sushma Swaraj told media persons after the meeting. Swaraj, however, said that a formal proposal from the government is yet to come. Government sources said that as of the moment it cannot be said that the government is open to JPC but if a resolution for formation of JPC is moved a discussion will suit it. "The government's feeling was that the House should run smoothly. When the government is aware that to run the house, the opposition wants JPC, then it is natural we feel that government would agree for JPC," Swaraj said. Lok Sabha Speaker Meira Kumar had convened a meeting of leaders of some of the political parties on Monday to ensure smooth functioning of the budget session after the longest shutdown of Parliament in the winter session on the JPC issue. She has already held two such meetings, including one exclusively with the leaders of the BJP and the government. The BJP created a logjam during the Winter session of Parliament over the demand for setting up of a JPC probe into the 2G-spectrum scam. Former Telecom Minister A Raja was forced to resign last year after a report of the Comptroller and Auditor General faulted him for undervaluing spectrum to favour companies who were largely ineligible for 2G spectrum, and added that the government had probably lost Rs.1.76 lakh crore in estimated revenue. The Budget session of Parliament will begin on February 21. 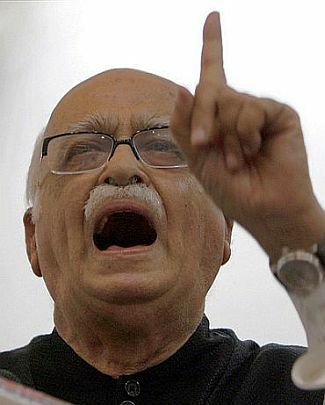 The Budget is to be presented in the Lok Sabha on February 28.